Apartment in Recoleta, Buenos Aires - Regal Recoleta ! Impressive, grand, period style 5380 square feet five bedroom apartment in the heart of Recoleta, close to many cultural sights. 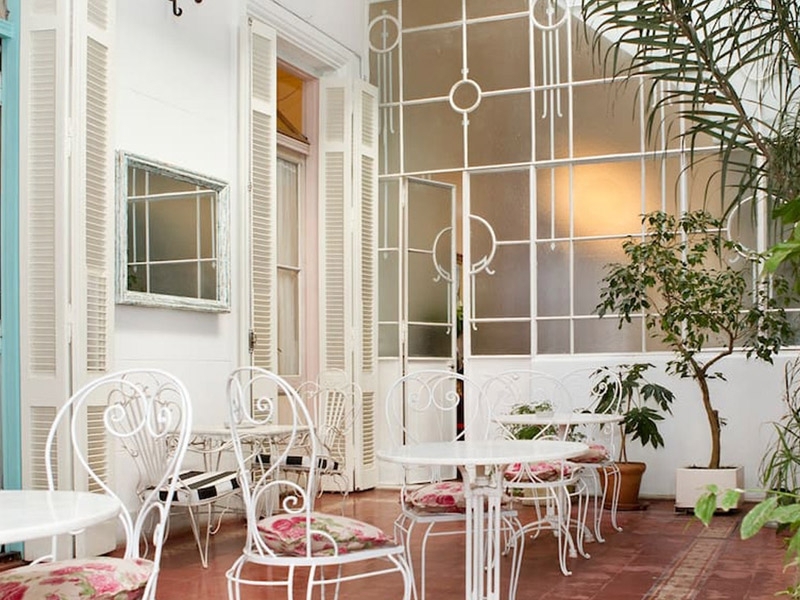 This impressive 500 square meter apartment for rent in Buenos Aires is in a turn of a century french style building, and is very well positioned in central Recoleta. Occupying the entire floor of this building, it can accommodate up to eight guests in style. It is rare to find an apartment that is so spacious and also one that retains its traditional style. As you walk in through the reception lobby, you will find not one but two living rooms. The first one more intimate and ideal for reading or having a glass of wine while overlooking the street below. The second, more grand, a room with high ceilings, hardwood floors and paneled walls that is ideal for entertaining. The gold leaf on the ceiling moldings give this room a presidential feel. Adjoining the living room is an elegant dining room, generous in space, it can accommodate ten guests on its mahogany dining table, matching chairs and chiffonier. Soft lighting completes the whole scene, worthy of a XV century painting. Dine in style with the silver cutlery or order in - Whatever you decide, it will definitely be a unique experience in this grand dining room! The kitchen is adjacent to the dining room and is fully equipped with everything you might need, and a little more. Wooden cupboards, plenty of crockery and appliances throughout, including a dishwasher. The hallway to the bedrooms is definitely worth mentioning, almost one block long, it serves as a gateway to the five rooms in the house. Each bedroom is similar in size, ensuite and with its own walk-in closet, and each with its own distinctive touch. The red room, the blue room, the green room… each furnished and decorated in style. The fifth room is the smallest in size and features a single bed. The bathrooms still keep their original décor with their tiled floors and vintage artifacts. Elegant and ceremonial but yet with a contemporary vibe, this apartment is perfect for both families or a group of friends who want to spend a vacation together, yet still retaining your own privacy and space.